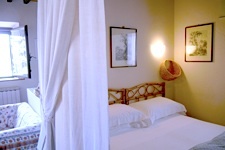 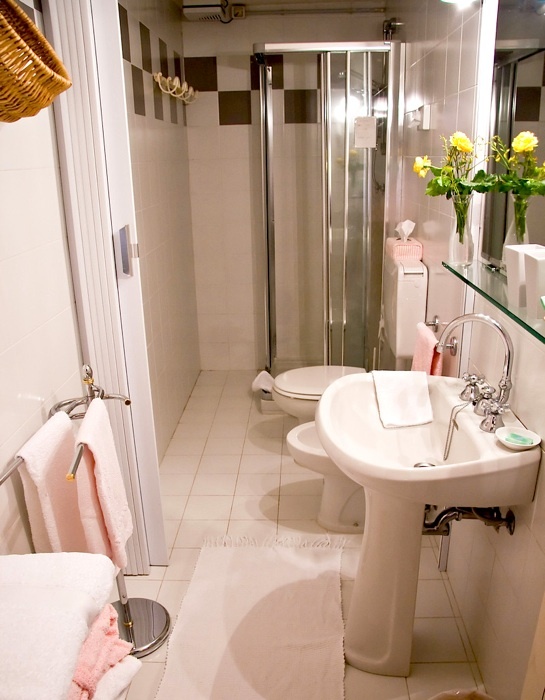 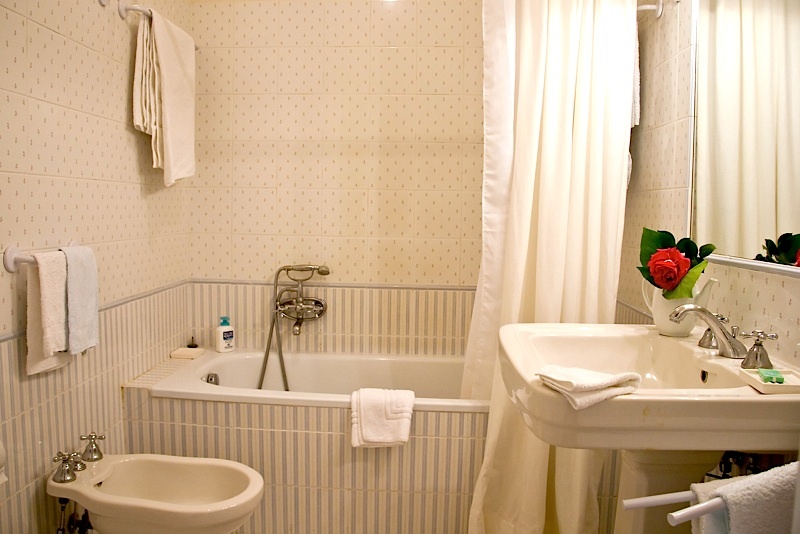 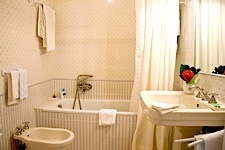 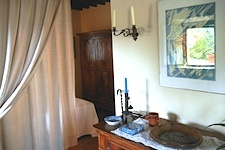 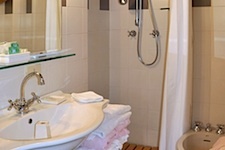 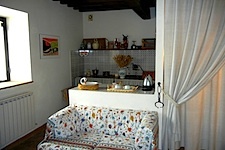 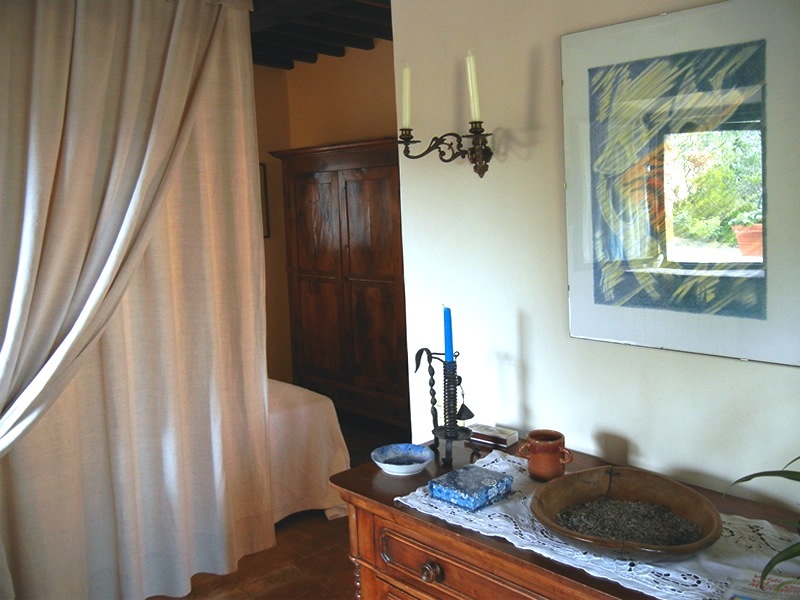 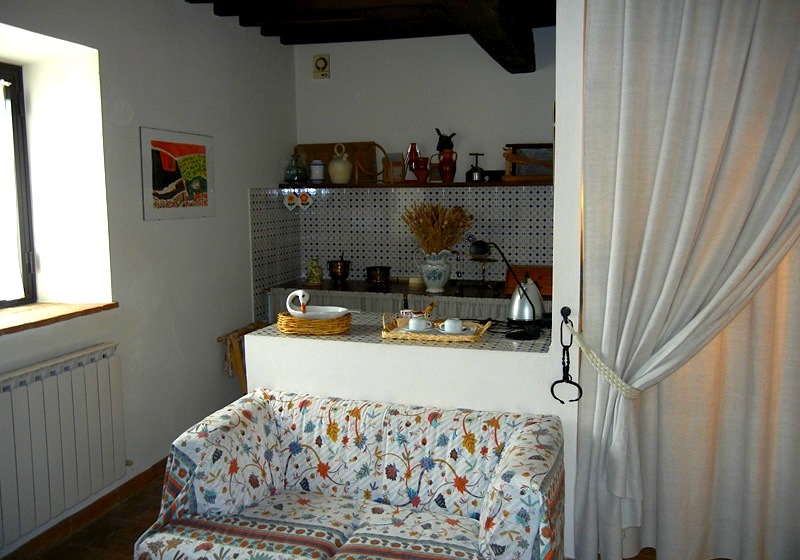 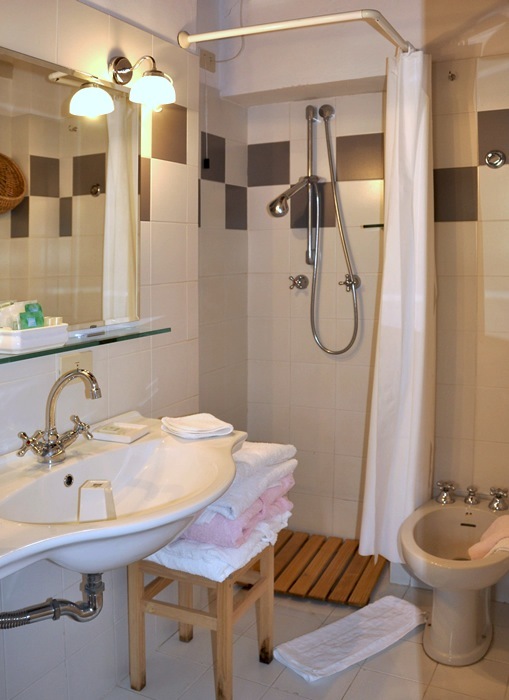 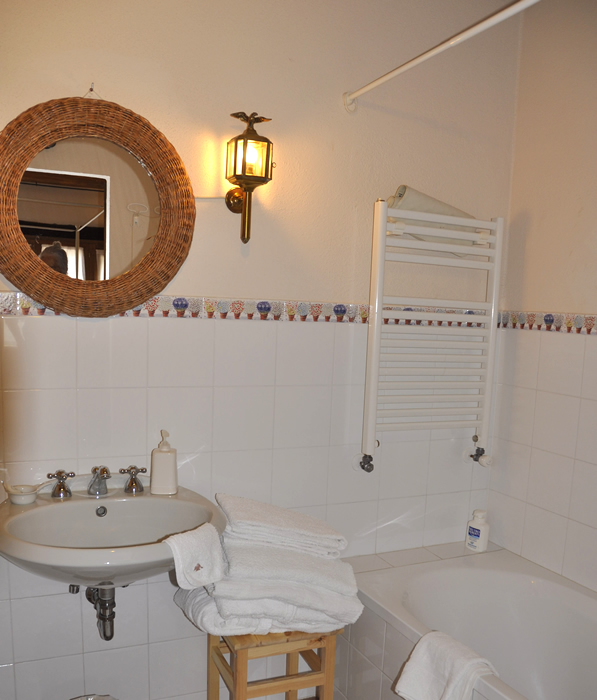 We live at Le Traverse most of the year, and we have put aside four of our rooms as a "bed and breakfast". 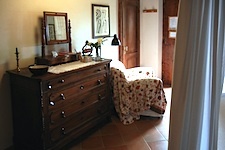 Each of these rooms has its own private entrance, a complete bath, independent heating, is furnished with antique country furniture and is decorated as our own home. 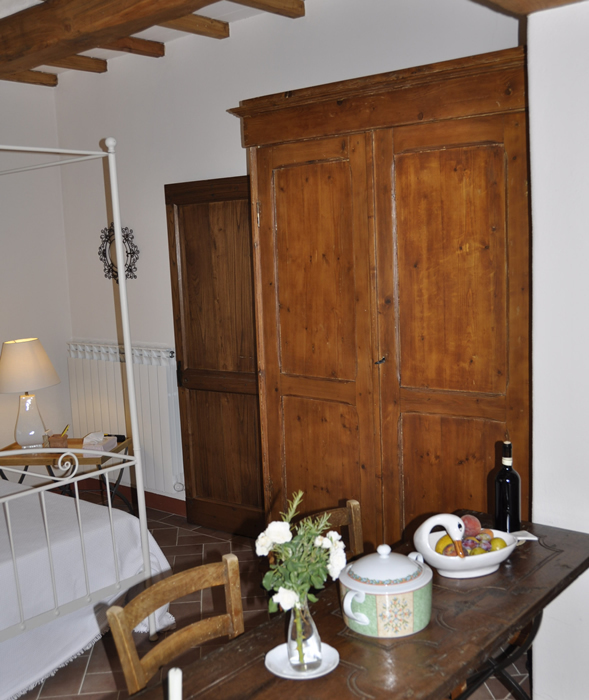 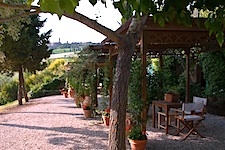 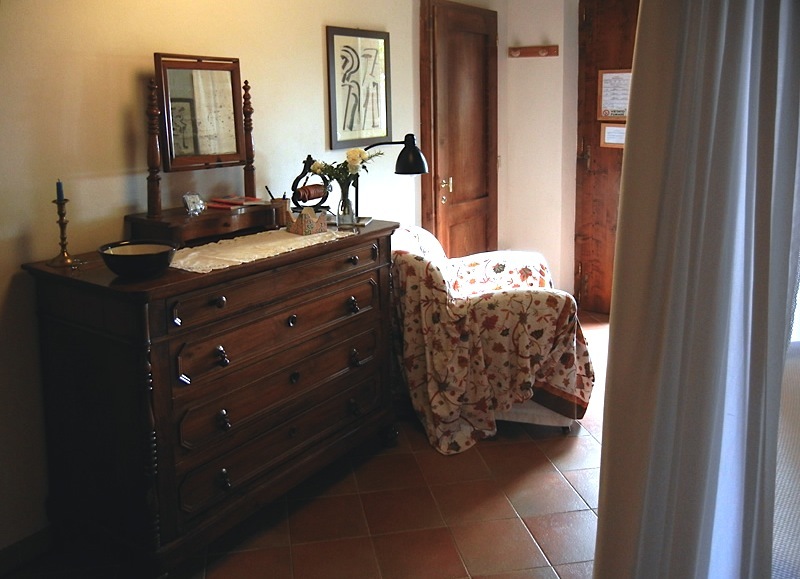 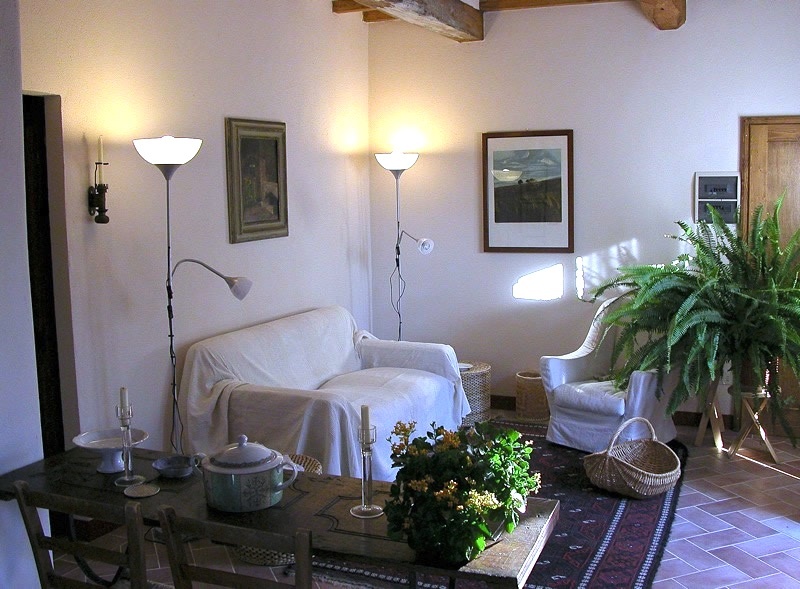 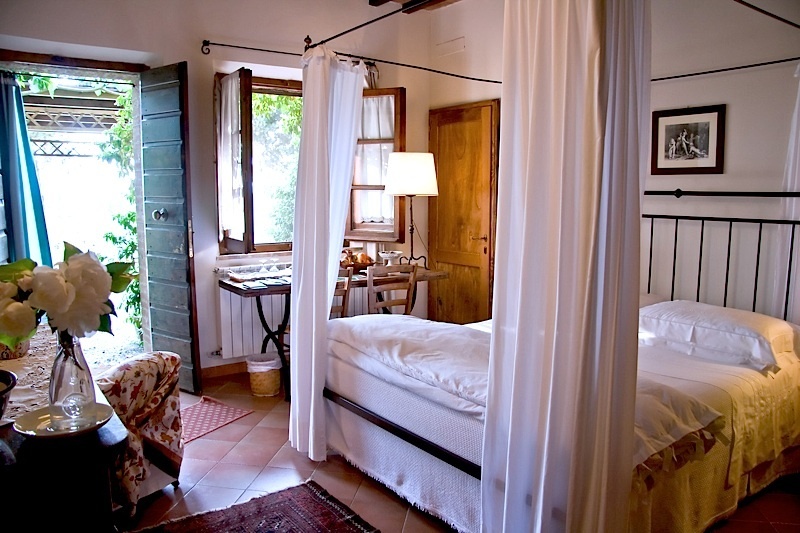 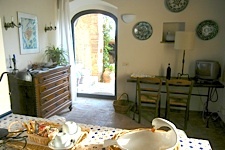 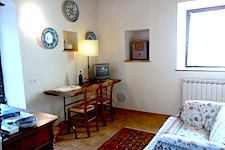 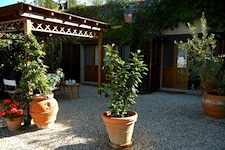 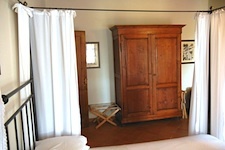 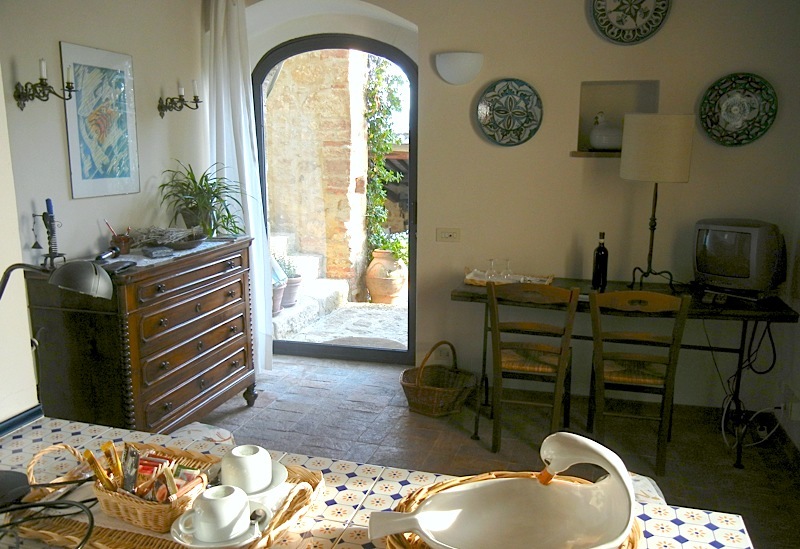 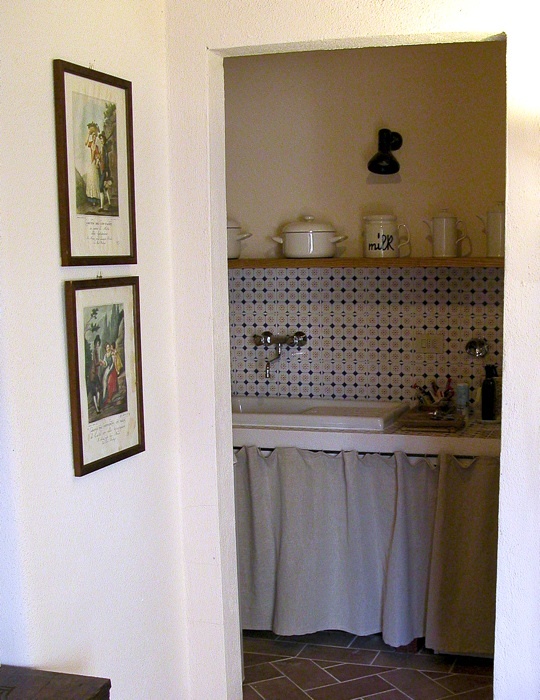 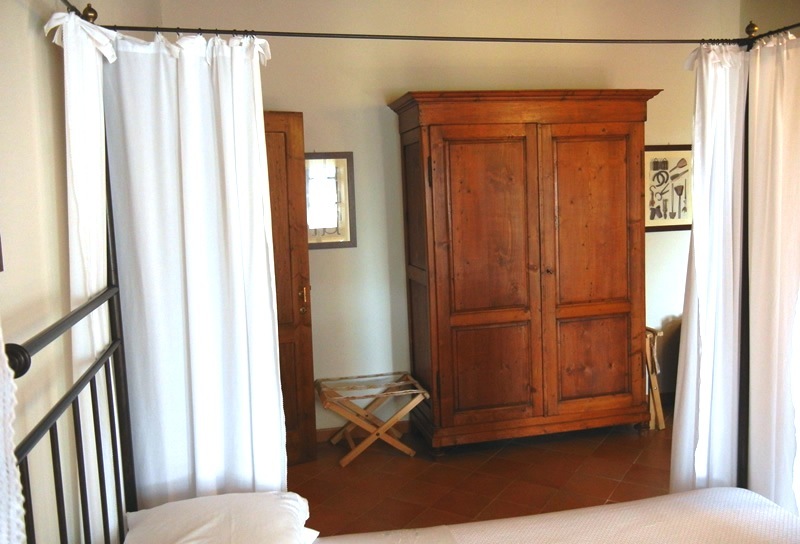 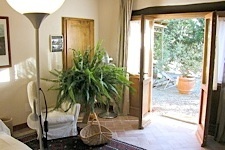 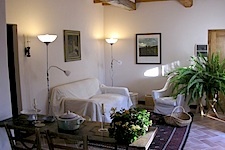 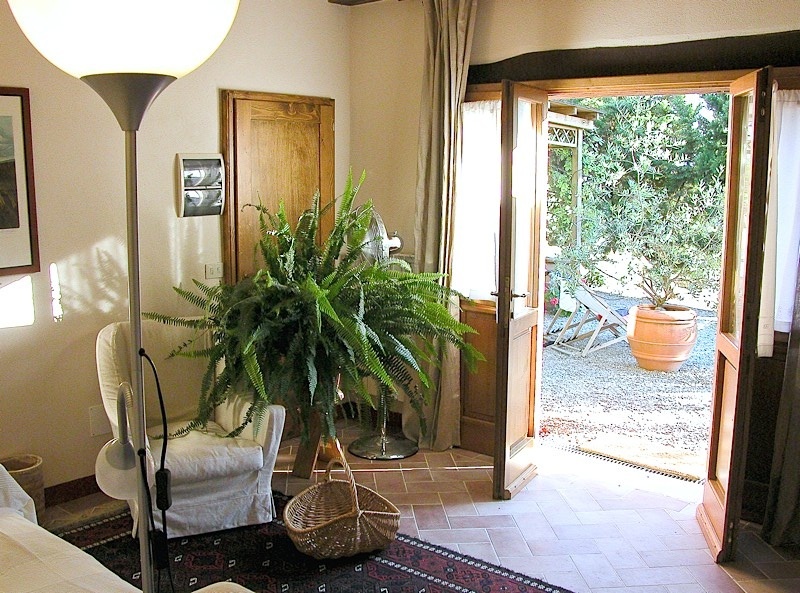 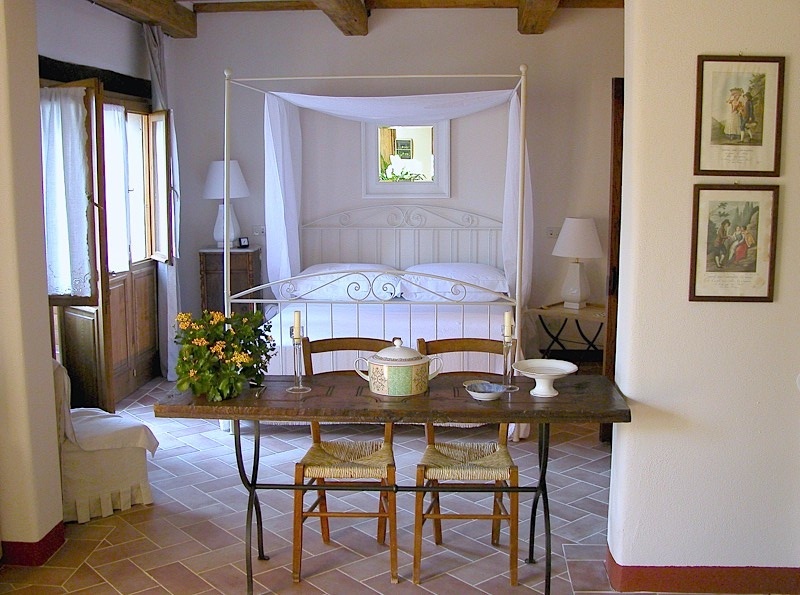 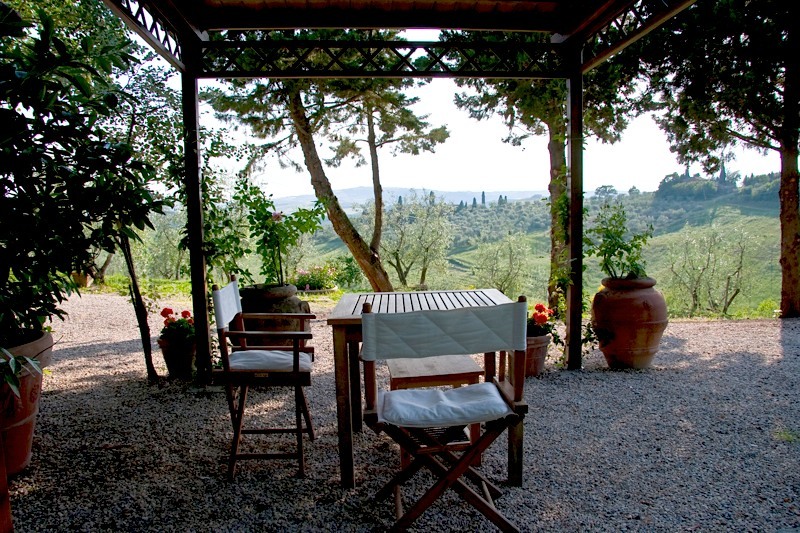 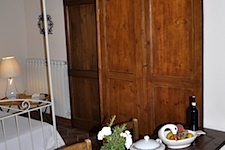 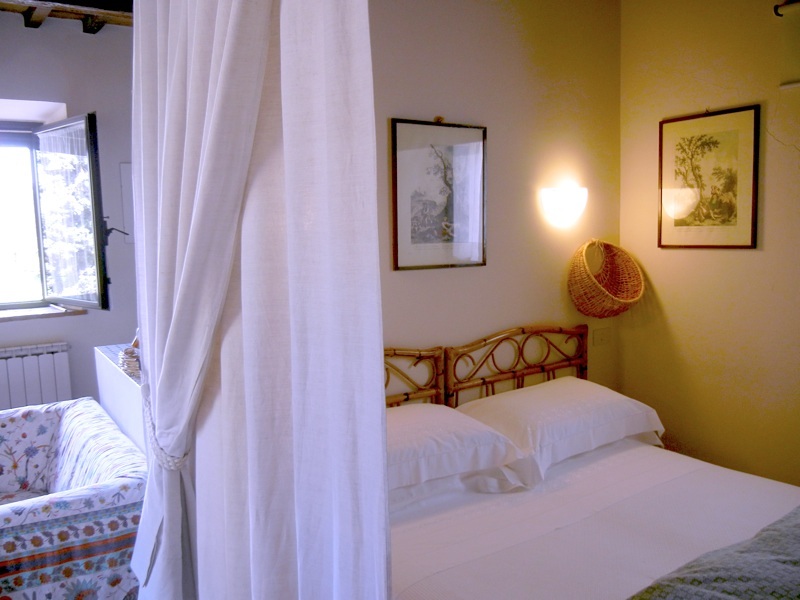 Each of these rooms opens up into our garden with views of Pienza and the Orcia Valley. 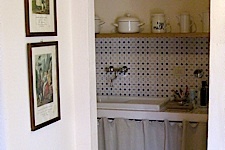 A lovely home made breakfast is served each morning either in the rooms or in the garden.